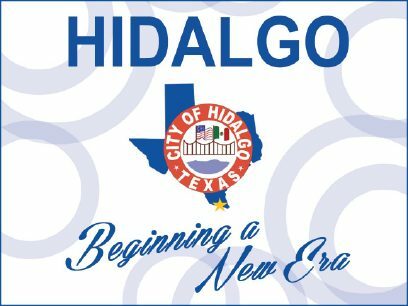 HIDALGO — For almost three decades the municipal judge post has been filled by political allies of those in power here, and the most recent spat appears to be the latest salvo in a political tug of war. Only two men have held the position since the early 1990s, when then-mayor John David Franz hired his former college roommate William “Billy” C. Romo to serve as judge. Romo, an attorney, held the position until 2014, when Hidalgo Mayor Martin Cepeda nominated Juan Pimentel to replace him. The Monitor archives from that year indicate Pimentel was seen as a political ally of Cepeda and the newly appointed Sergio Coronado. Pimentel had also previously served as a board member for the Valley View school district with Noe Reyes, who is now the mayor pro-tem for the city of Hidalgo. When Pimentel was first nominated, the only critic on the council appeared to be Gustavo “Gus” Sanchez, who questioned why the council would consider hiring someone without a law degree or any legal background to fill the post. Loyalties, however, have since shifted. Last week, Reyes and Coronado teamed up with Sanchez to approve hiring interim judge Ivan Perez to help Pimentel run the municipal court — a move the mayor and his two allies on the council, Rudy Franz and Oziel Treviño, believe is a violation of the city charter. Coronado argued he and the others had tasked Perez, a Weslaco attorney, with helping Pimentel because they wanted to give the public the opportunity to see a judge during lunch hours. Pimentel’s availability, Coronado said, was mostly after 4 p.m. on Wednesdays. Cepeda, however, argued Sanchez wanted to hire Perez because of their personal ties and said Sanchez had personally approached him about eight months ago with a request to hire Perez. Court records indicate Perez defended Sanchez during a civil lawsuit that was dismissed earlier this year. Coronado, however, argued Cepeda pulled a similar move when he circumvented the council to hire attorney Ricardo Gonzalez to successfully file a temporary restraining order against Perez on behalf of the council. Gonzalez is currently defending council member Treviño, who sides with Cepeda and Franz, in a case involving voter fraud. Cepeda recently told The Monitor the majority of the council — Reyes Coronado and Sanchez — created the problem when they reduced Pimentel’s hours from about 30 to six. Coronado said that never happened. He provided a copy of Pimentel’s four-year contract to The Monitor, which was signed July 2014 and expires May 2018. The contract indicates Pimentel agreed to work “up to six hours per week” for $3,000 a month — or about $125 per hour. Coronado said Pimentel would often put in many more hours — at times earning upward of $3,000 per week. Still, he said, Perez was brought in to help keep the municipal court available to the residents, and did not believe Pimentel could step away from his post at the La Joya school district to accommodate better working hours.